Manufacture and install of wooden double glazed sash windows into original frame – When we cannot use the existing sash to double glaze because it’s not thick enough, or it’s structurally not sound then manufacturing new sash windows to fit the original frame is the next best option in price. 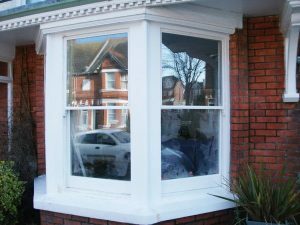 Full Replacement wooden double glazed sash windows – The sash, frame, and internal surrounds are entirely replaced. We rarely advocate entire replacement, however there are plenty of occasions a new sash window might be required such as new build, or planning specifications and we are more than happy to do so if you require. Double glazing listed building sash windows – Recent improvement in glazing technology has made the double glazing of listed building sash windows a real possibility and even if planning have rejected your requests we may be able to help with alternative upgrades. Please follow the link to find out more. Double glazing existing sash windows – Cost £480 to £780. 5 year guarantee. 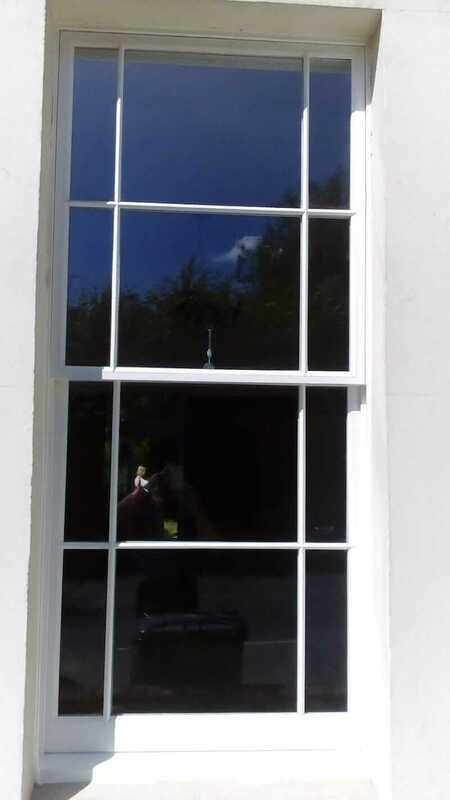 Manufacture and install of wooden double glazed sash into original frame – Cost £620.00 – £980.00. 5 year guarantee. Full Replacement wooden double glazed sash windows – Cost £1280.00 – £1980.00. This comes with comprehensive 10 year insurance backed guarantee. Double glazing listed building sash windows – Cost £680.00 – £980.00. Please note these costs are for re-using existing joinery which is relevant to 99% of listed building sash window upgrades. 5 year guarantee. Entirely new windows come with an insurance backed, no quibble ten year guarantee. This guarantees both structure of your sash window and glazing. 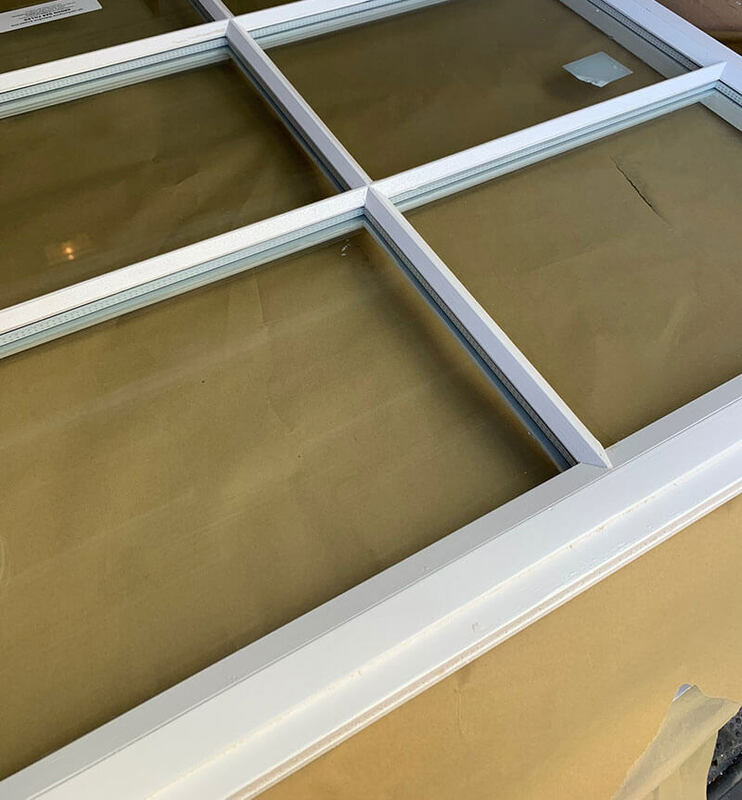 New sash installed into the original frame, or existing sash windows that are double glazed come with a five year guarantee for structure and five year guarantee for glazing. Our wooden double glazed sash windows service remains affordable and competitive. We always make use of your original wooden windows if possible, only replacing wooden double glazed sash windows where necessary. We can ascertain the viability of using existing wooden windows on site. As a general rule, as long as your wooden sash windows are one and a half inches thick, we can double glaze without replacing any joinery at all. Double glazing existing original sash windows and draught proofing is by the far the best value for money pound for pound. The effectiveness of this service depends largely on the depth of your sash. 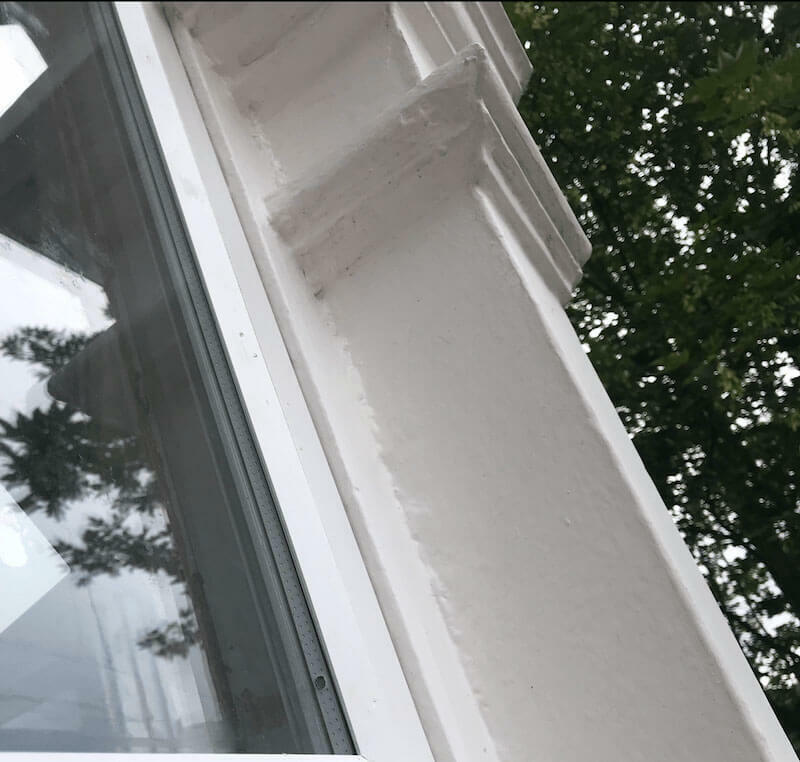 There are examples below as well as a previous installs with decorated and undecorated examples of the unit rebated within the original sash to give you a clear idea of what to expect when we have finished the installation. Our vans are kitted out and perfectly tailored to this service, and a standard original sash window double glazed will range as low as £480 to £780 depending on client requirements, condition of sash, and size. Please note that if you have lots of glazing bar (Georgian Style), or your sash windows have beautiful arches then sadly the costs will not fall in the range quoted and it’ll probably not be economically viable but please do contact us so we can work this out for you. There’s nothing stop us make your double glazed existing sash window look beautiful and it certainly doesn’t have to look double glazed either. The client paid for a gloss finish on the sashes rather than just primed and tidied in. Further down this page you can see an example of a window that has just been touched in with primer, undercoated, and filled. We use a glazing bead to finish them externally for a few reasons: Putty and pins would not safely hold the weight of double glazed units as well as being too easy to remove the soft putty can create a security issue until hardened. The glazing bead really nicely finishes the windows externally and creates nice neat lines which most old sash windows normally suffer from over the years, poor putty work can look a little unsightly and detract from the overall look. Whilst double glazing the existing sash will not produce new sash window looks, there’s no good reason not to make them look as smart as possible! One of the most beautiful and original looking double glazed sash windows in London today. 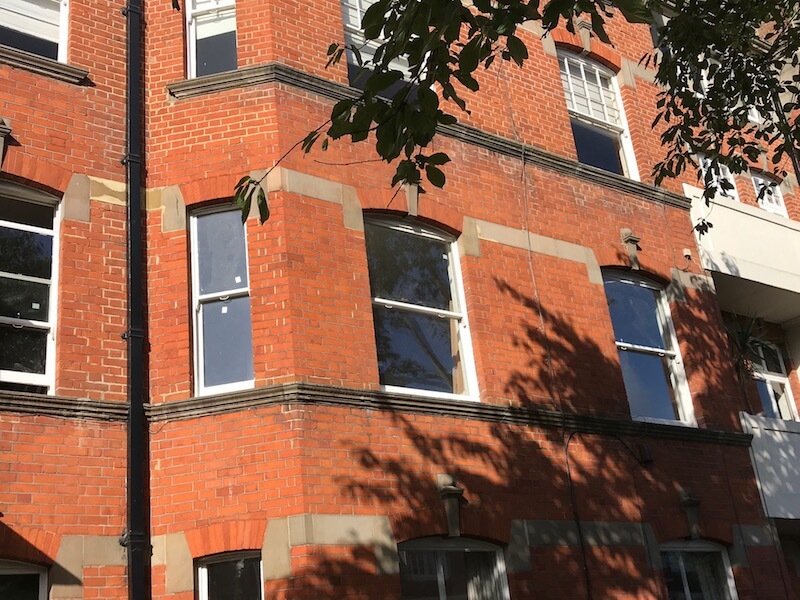 To preserve this property’s sash windows and upgrade them was one of the most pleasing jobs I’ve had the pleasure to be involved with in quite some time. Those windows are some one hundred and twenty years old, there’s no reason to think these cannot last another hundred years. The only thing I would say is that double glazed units will not last one hundred years, it seems like around twenty years and they’ll begin to mist up, that said, it’s only a case of replacing the glazing in these original sash windows now. Combined with a draught proofing system these windows are really ready for Winter! In most cases, even if you live in a Mansion Block we can work with, and double glaze the original sash windows. The difference from roadside is negligible at best. Here is a run of sashes from start to finish. We start with the sash single glazed, removed from frame. The first process is to remove the old glazing, putty, and glazing pins carefully. Once the original glazing is removed we will then rebate the sash a little deeper to take the double glazed unit so as to hide the unit entirely when the job is finished. We use a specialised, custom router cutter to achieve this rebate. Often I am asked if this will structurally weaken the sash itself. My response is always the same. When me make onsite assessment, if we know the original sash won’t be able to carry a double glazed unit, we simply won’t offer it as an option. We will instead, turn our attention manufacturing new sashes, making use of the existing frame. Here’s a look at the sash rebated and ready to carry the double glazed unit. With the sash rebated accurately and timbers notched out in the corners, we then drop the double glazed unit into the new opening we created. We then use a custom made glazing bead, which we manufacture ourself to keep the rebate as shallow as possible, and as much depth internally left on the sash. Here’s a look at the the glazing bead. You’ll notice that already, the double glazed unit is completely hidden. The only way to tell is the stickers and the nice new looking glint coming from the glass. Taking a look internally you will also notice that the double glazed unit is hidden. To see the unit you’ll need to look at an angle and look into the sash. As you can see it comes together very quickly and it’s worth mentioning that this still isn’t decorated. Because of the new neat lines on the sash, when painted they won’t look far off new. Once the double glazing process is completed we will then refit the sash with the draught proofing system. The windows don’t look much at this point but you’ll note it’s fairly difficult to tell you have double glazing, unless looking into the window. Externally it’s important to keep things looking as neat and tidy as possible. From road level you cannot tell these windows have been touched and that is very important for a mansion block – we must maintain the original look and feel, you’ll notice the glass looks newer and cleaner as compared to the windows on the right hand side, but apart from that, there’s no visual difference from street level. The housing committee at this block were very pleased with the result and will be suggesting this upgrade to all properties in the near future. We firmly believe in clients being well informed and provided as much information prior to engaging us as possible, without bias, and therefore I’d like to share some facts. This unit is of exceptional quality and has not been bettered by Pilkington in around 8 years. In the event your sashes are thick enough to carry this unit the value for money is incredible. 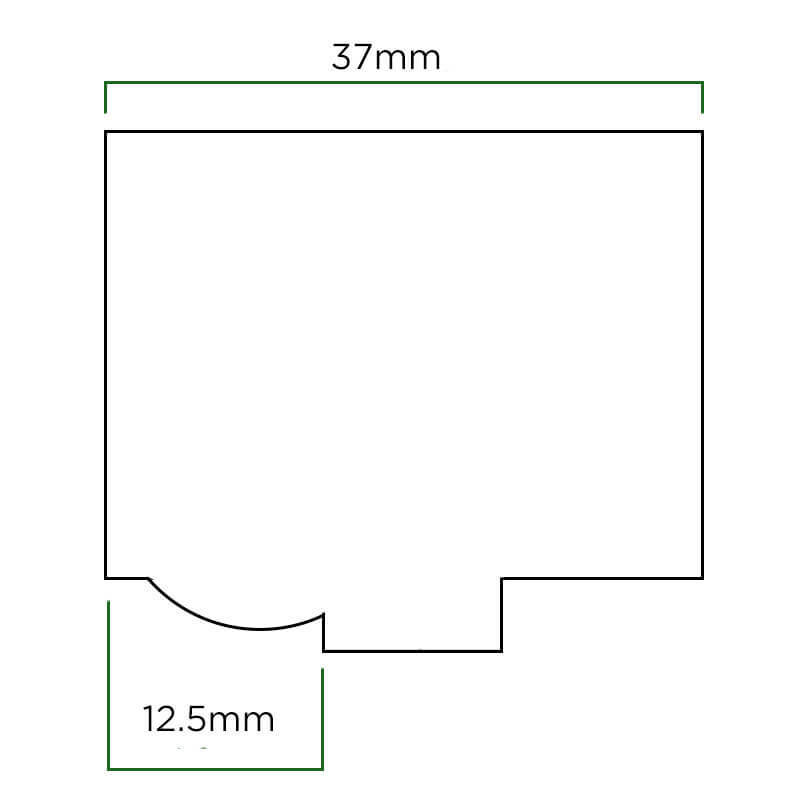 Thinner sashes may require a double glazed unit as slim as 4mm Low E – 4mm Air Gap Argon Filled – 4mm Clear Float (4mm-4mm-4mm), which is not as effective for sound proofing or heat retention as a larger unit(4mm-8mm-4mm), however that said, a normal person will not be able to tell the difference in noise or heating between the two. If we were to use a fancy dB meter for volume then, the (4mm-4mm-4mm) would not be as technically effective as the larger unit(4mm-8mm-4mm), and although the difference would be noted on a U-Value meter for sure – the real heat loss would be unnoticeable on your gas bill. To summarise this paragraph – once you’ve got a double glazed sash window that is nicely draught proof, the additional glazing cavity spacer doesn’t make a significant difference. Double glazing is double glazing after all. To allow for the double glazed unit we must rebate the glazing profile more deeply using a specialised router cutter on a work bench. Pictured above: We now have enough depth to neatly install a double glazed unit into the original frame. We then install the double glazed unit into the deeper rebate and rebuild the window with a draught proofing system. Here is a look at the sash close up after being installed. It clearly needs a little tidying decoration wise but certainly no worse for wear. It is the perfect example of what you’ll get before decoration. To have any idea the sash window is double glazed we need to look inside the sash to see the white space edge of the double glazed unit. Looking at the sash window straight on you would not know this sash window has been double glazed. Pictured below is a 40mm sash with a (4-8-4) Argon filled unit. Once decorated you’ve got a fully uprated double glazed sash window for 70% less than an entire replacement cost. This is what a sash with with a double glazed unit installed will look like inside and before decoration or any sealants used to improve aesthetics. This doesn’t just work with Ovolo sash profiles. Similarly this technique can be applied to a more traditional Lambs Tongue profile. Some might argue the finish looks better but please feel free to take a look at the image below and decide for yourself. 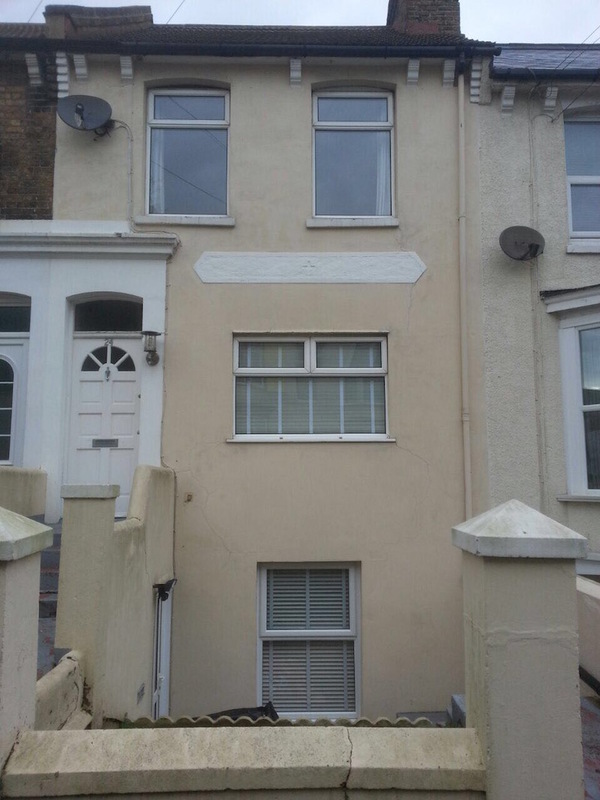 Please note that this sash window has not been decorated as the client wished to decorate the sashes themselves. This represents an excellent saving if you are DIY capable.. It’s certainly worth taking a look at our pricing page to see just how much money can be saved. We will happily spend some time going through with you on the best technique to do so. 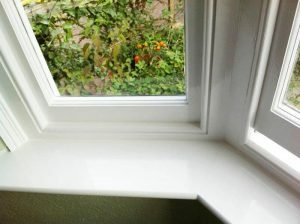 I have also written a DIY sash window painting article to help our clients that wish to make this saving. 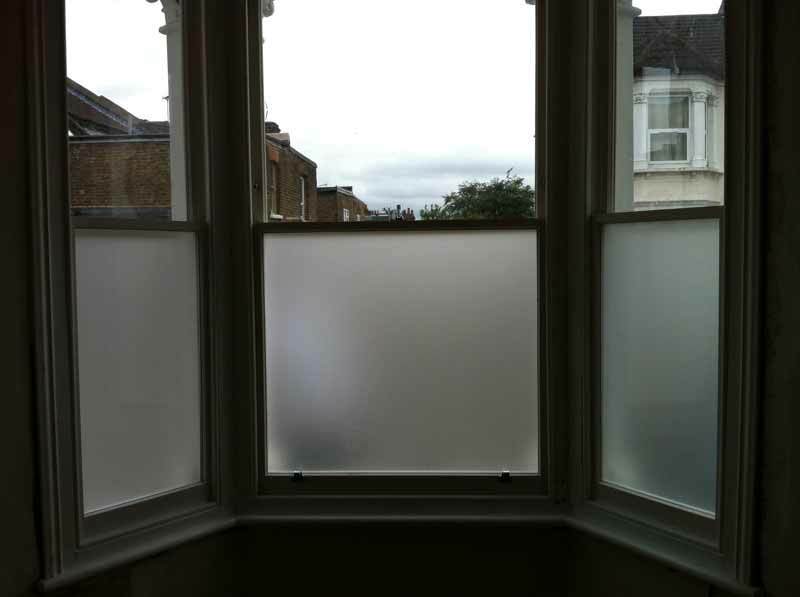 Replacement double glazed sashes making use of the original frame is the second most best solution in terms of cost, and being sympathetic to your period property. We will measure sashes and take note of the original profiles as well as external horns. We will then manufacture wooden double glazed sash windows to match the originals. The service is almost identical to double glazing original existing sash windows with the exception we supply a new sash instead of making use of the original joinery. There are some added benefits of replacement to note. We can tinker with profile sizes and this allows a much larger sealed unit to be installed. Note the glazing bar is slender and ornate on this sash window. Notice how the slender glazing bars we have replicated give the window a traditional, elegant, single glazed appearance. This is what we aim to achieve from all double glazed sash window installs making use of the original frame. 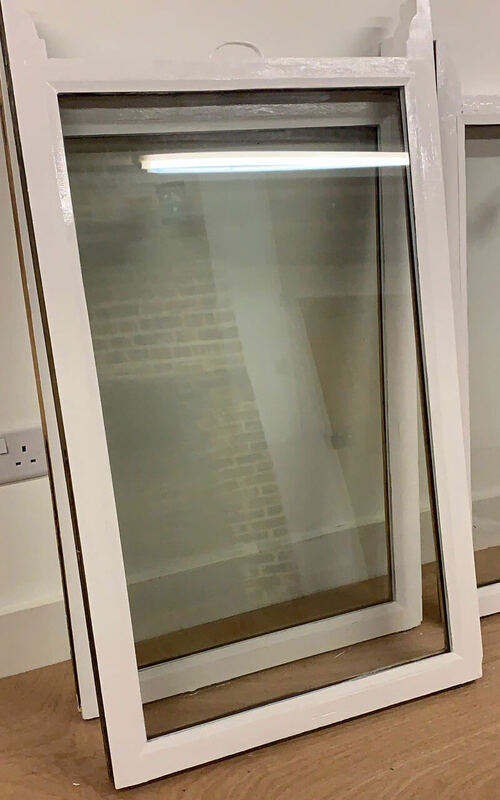 Our double glazed sash windows are built with a solid glazing bar construct inside, and then we laminate the glazing bar externally, giving the overall effect of a sash window that has many panes of glass. We feel this construct gives a better looking, more traditional feel. Do you notice the little circular looking grommet inside the double glazed unit? This is where the Argos gas filling is inserted. Once the gas is pumped in, a filler cap is added and wedged in securely from behind the unit before it’s installed into the sash. The interesting thing about an Argon filled unit with low-E glass is that you can actually tell the difference if you put your hand on a standard unit and this one when it’s cold. Pilkington are producing some really amazing energy efficient glass. 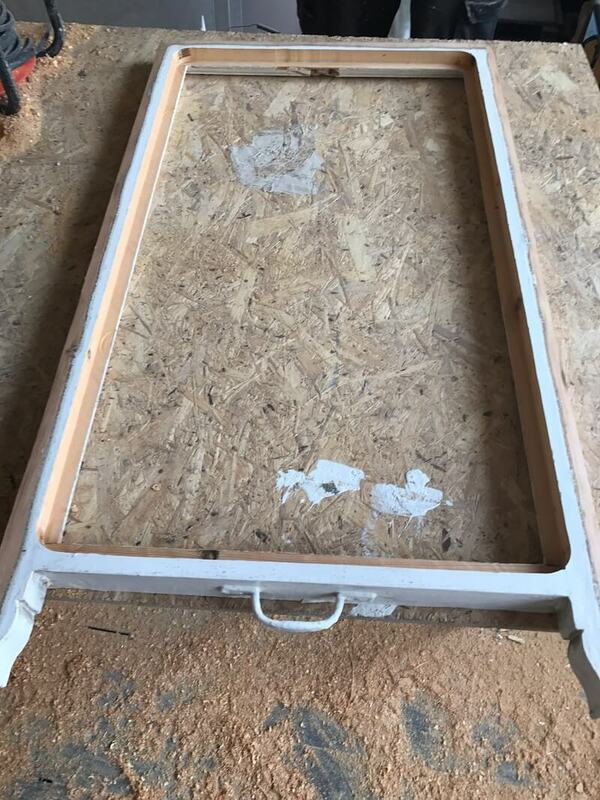 We offset the mortice and tenon to provide additional structural strength and then a 42mm sash is capable of holding a 4mm Low E – 12mm Argon filled air gap – 4mm clear float (4mm-12mm-4mm) should you require the extra cavity depth. The larger air cavity is more effective at heat and noise insulation, although once you have any of the following sizes;(4mm-4mm-4mm), (4mm-6mm-4mm), (4mm-8mm-4mm), or (4mm-12mm-4mm) it is not easy to tell apart as they are all wonderfully thermal and noise efficient. I certainly do not believe I can tell a unit depth by listening to a bus pass or someone shouting outside. It is fairly clear technically though, that a (4mm-12mm-4mm) unit will be more effective than a (4mm-4mm-4mm) as there is a large step up in air cavity. Other sash window companies have said my sash windows are too thin to install double glazed sash into the original frame, can you help? Almost probably yes as we can normally work with a 32mm frame which in imperial measurements is an inch and a quarter(of course all sash windows were originally constructed using imperial measures), but let’s start with the standard that most specialist sash window companies can achieve: the minimum depth of sash that can traditionally have new sashes made to suit the frame is 35mm. This would provide a 4mm soft coat low-E, 6mm cavity, 4mm unit. So a total of 14mm which is pretty good, thermally efficient, and not too bad for the noise. Of course, the larger the air gap, the better the acoustic performance. Heat is normally pretty well covered with a standard 14mm unit but for certain, the bigger the air gap, the better the noise reduction. 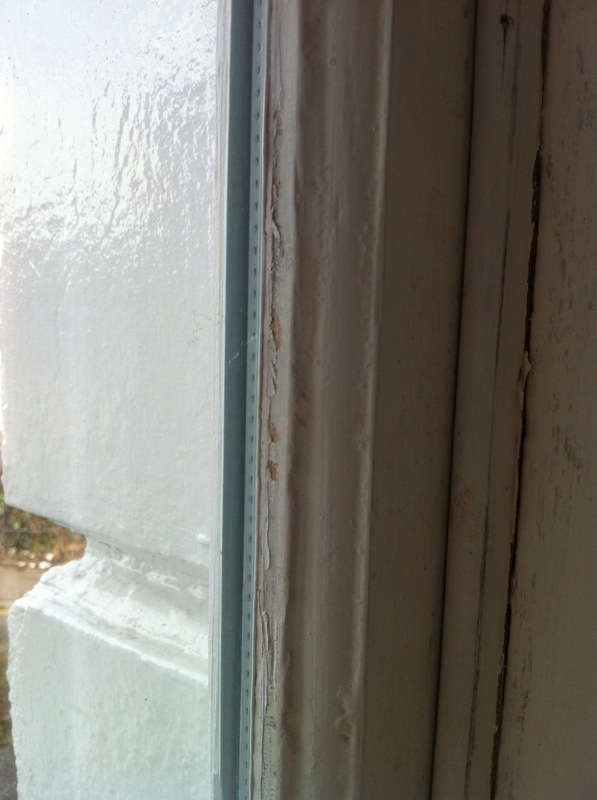 Notice how the edge is cut out and rebated from this double glazed sash window? This is to allow the sash to pass the front cheek of the frame. This works well if the original frame is nice and square as it’ll look neat and tidy. 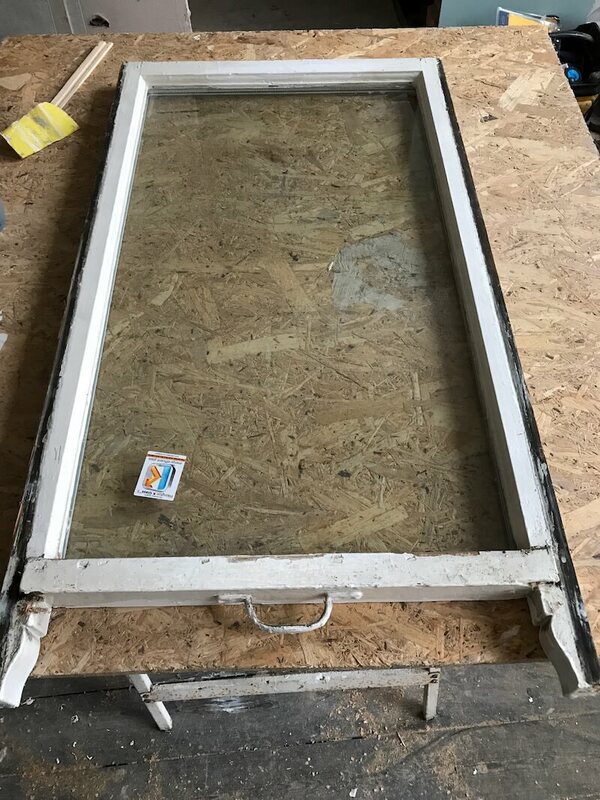 If the frame is wonky or out of square, an option is to have the top fixed in this case and the lower functioning, in fact, that’s an option in any case and can help to reduce the cost of the mechanism by anywhere between £120-£320 + VAT depending on how large a window is. Not to mention, because the top would be a complete seal and not just a draught seal, it’s that little bit more thermally and acoustically effective! Below is an another image of a replacement double glazed sash using existing joinery. As we can see, the slender profiles are retained and the window looks very traditional and impossible to tell the window has been double glazed at any distance at all – the picture is taken just a couple of metres away. 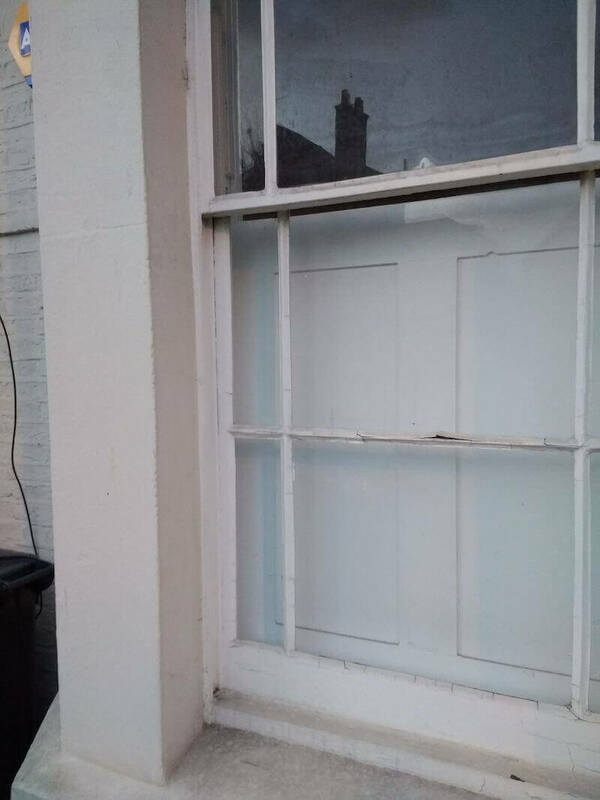 In stark contrast, if you look at the right hand panel top pane – across the road from some 30 metres you can see the nasty result of UPVC which would of cost about the same as the service we provided, if not more! We supply our double glazed sashes in softwood and hardwood. We can provide the sash finished bare timber, stained (the stain of your choice), primed, undercoated, or with a gloss finish. Hardwood sash will normally increase the price by around 20% of the overall cost. Full Replacement wooden double glazed sash windows provide the most effective sound and heat insulation properties but do come with the added cost as we’ve mentioned previously. 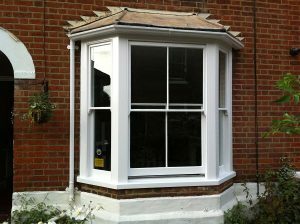 We provide replacement double glazed sash windows in softwood and hardwood. Full double glazed sash window replacement allows us to install our largest, most effective double glazed unit, 4mm Low E – 20mm Argon filled Cavity – 4mm clear float(4-20-4). This unit represents excellent U-Value ratings and is way beyond the standard requirement to obtain Building Approval (or a Fensa certificate if you prefer). Full window installation carries an insurance backed guarantee so you have full piece of mind for the 10 year warranty period. It is expensive and there is no real payback on heating as a result of the upfront costs but there are plenty of other benefits should you prefer complete double glazed replacement. New windows come fully finished and covered by a ten year insurance backed guarantee, and you can have a whole host of glazing options to improve thermal and acoustic properties. Here’s a look at our joinery. On the left hand side you’ll note this beautiful marginal light is double glazed. You can tell this by reflection alone. By contrast on the right hand side this lovely curved window was specified single glazed to match the original like for like. Fortunately some of the beautiful windows were salvageable but this window wasn’t and I have to say was a pleasure to manufacture. Double glazed sash window replacement. 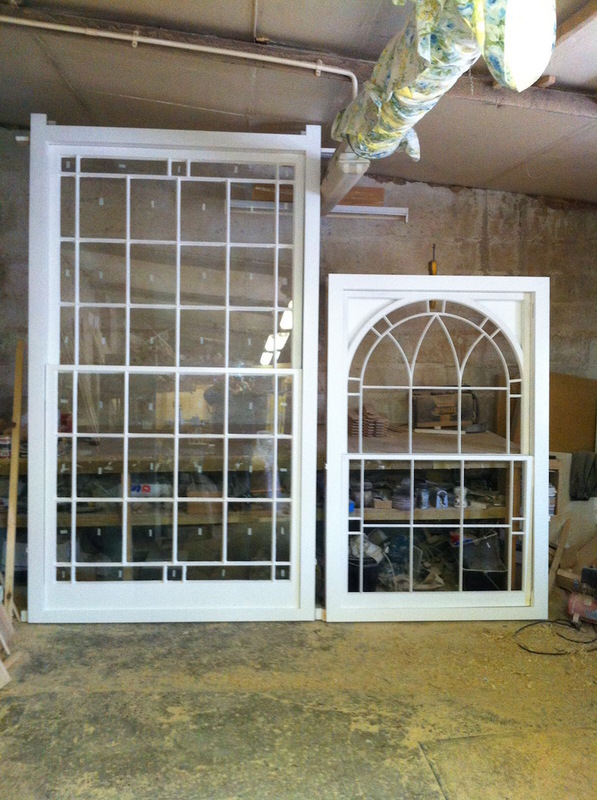 We can manufacture absolutely any curved head sash window, bowed sash windows, or marginal light. Whatever the joinery requirement we can always manufacture in house to high standards and normally delivery within eight to ten weeks is possible, even on complex projects. We will also undertake structural alterations to improve the look of properties and can help with building aspects of a job as well. 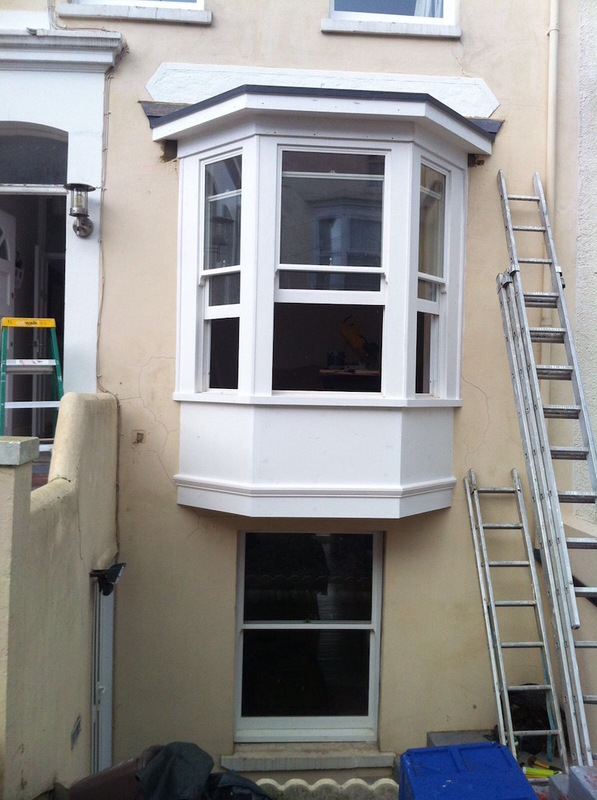 This client wanted to improve the look of their property with a nice bay window. This involved opening up the brickwork, lintels for support, as well as ground support as well. With all measurements taken and planning consent approved to make this Victorian property look traditional as it once was, we set about making new double glazed sash windows and then fitting. This really improved the look of the property and we throughly enjoyed the challenge. New sash windows look amazing and work perfectly. They are extremely secure and will not require maintenance for many years to come. They will undoubtedly be marginally better than using original joinery at thermal and acoustic insulation. 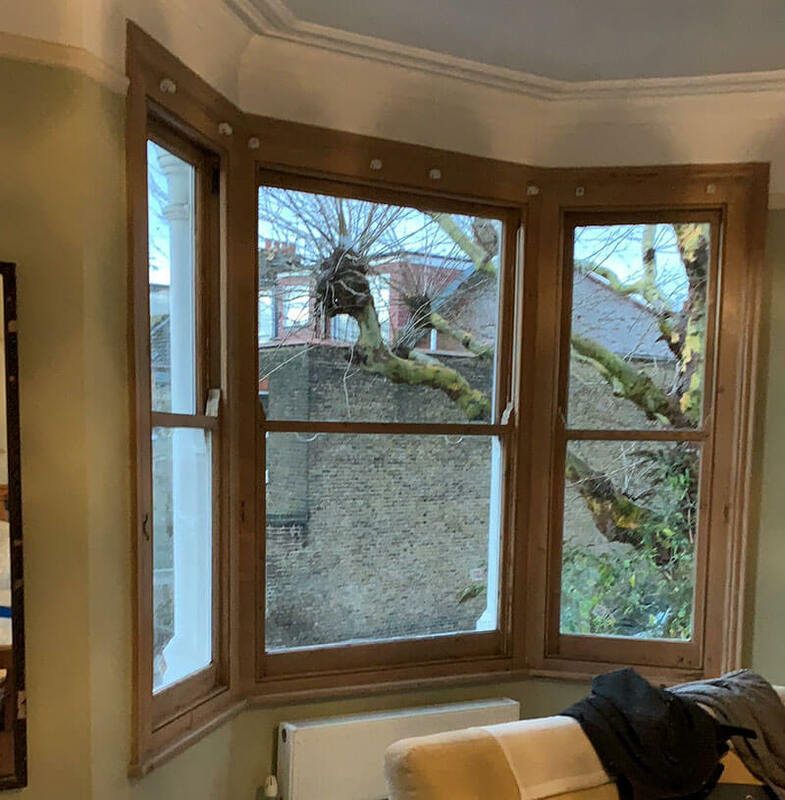 We are not against Replacement wooden double glazed sash windows, we just feel there are other more viable options to consider prior to this costly exercise. Listed buildings require more sensitive restoration and upgrade, we fully understand what planning are looking for. We will install slim sealed units into the original sash as to not effect the appearance at all. Please note! Not all sashes are created equal and thorough site assessment will be required to ensure the viability, the structural integrity, and the listed sash window aesthetics remain entirely as was. This is not an art, it’s simple mathematics from an experience carpenter/estimator and so we will show you exactly how the assessment is measured leaving you in control of the important decisions in your home. There are two important factors in determining the viability of the install. Firstly the sash needs to be of sufficient depth on the original rebate. The next important factor to consider is the width of the rebate. That’s a little tricky to understand so I will provide an image of a typical installation. 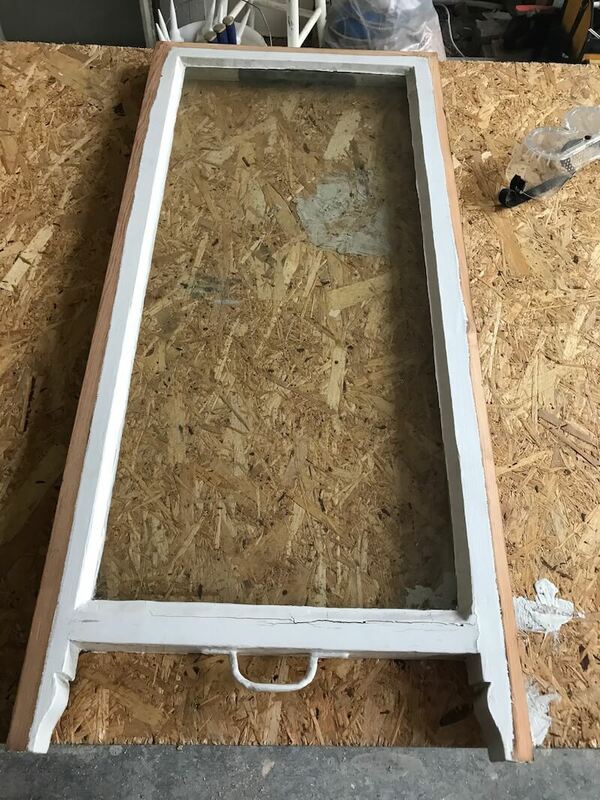 A cross section of a single glazed sash window that has had the original glass and putty removed, ready for an installation of a slim double glazed unit. This cross section makes clear the minimum depth and width of the rebate requirements. 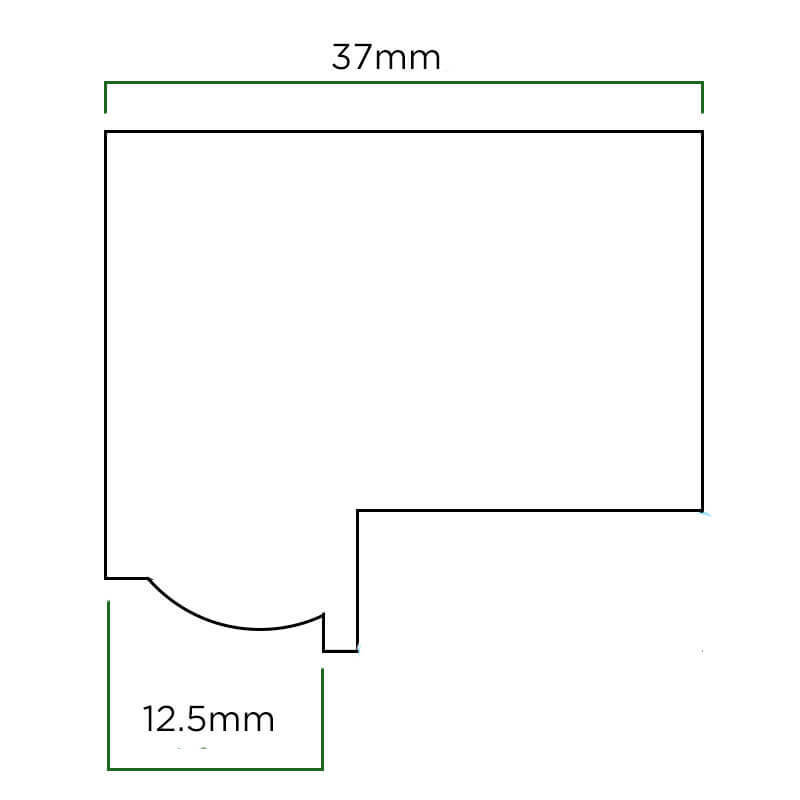 We can see from the example that the rebate needs to be 20mm deep, whilst the rebate width needs to be 6mm minimum, the examples shows 7mm and the extra mm is more comfortable, in fact 8mm-9mm is ideal for tolerances as the sash may not be perfectly square after all these years but as you can see with the small margins involved this really is a sensitive operation. 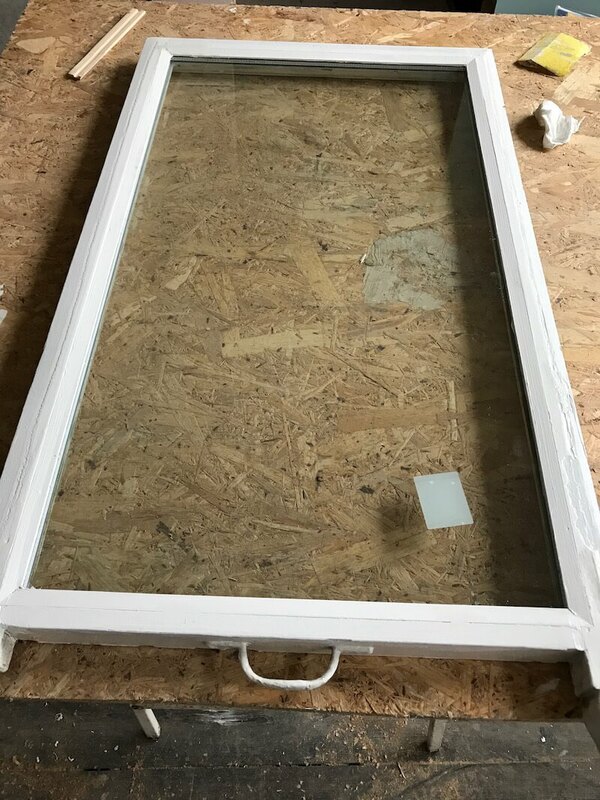 Im some circumstances we can however afford to slightly rebate a little deeper should we not have 20mm in depth or we can switch to a 10mm unit( 3mm Low E – 4mm Argon Cavity – 3mm Float glass.) and it’s all down to experience, knowing the correct approach to take in order that we maximise the efficiency of the installation. A couple of mm on the depth will have absolutely no visual impact on the overall finish externally, and in most cases it cleans up the edge of the rebate. The preferred bedding is Butyl putty however another, more appropriate method is a low modulus silicone. 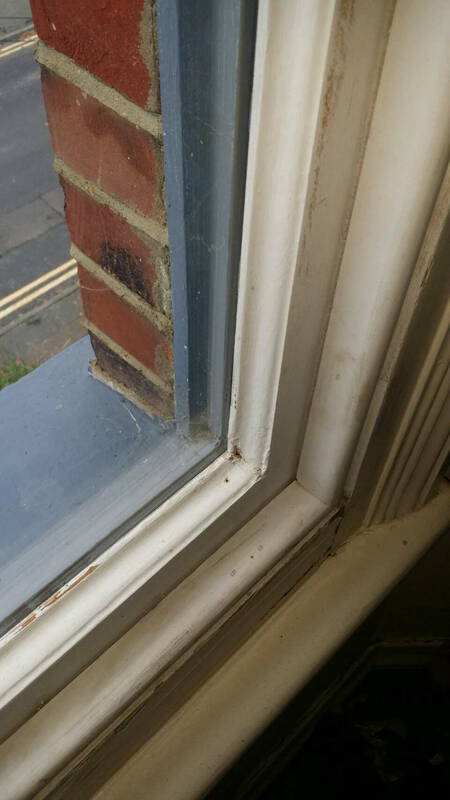 There is too greater security risk with Butyl putty as a solid cure can take a month and the property is vulnerable to anyone using a knife to remove the glazing in that time. Silicone sets and holds the unit firmly in place overnight and therefore the suitable choice for bedding of the slimline unit. The performance of the slimmer sealed unit is not inline with a larger 12mm air cavity that we talked about with typical sash windows, however the results combined with a draught proofing system are very impressive considering this all fits inside a slender, original listed building sash window profile. 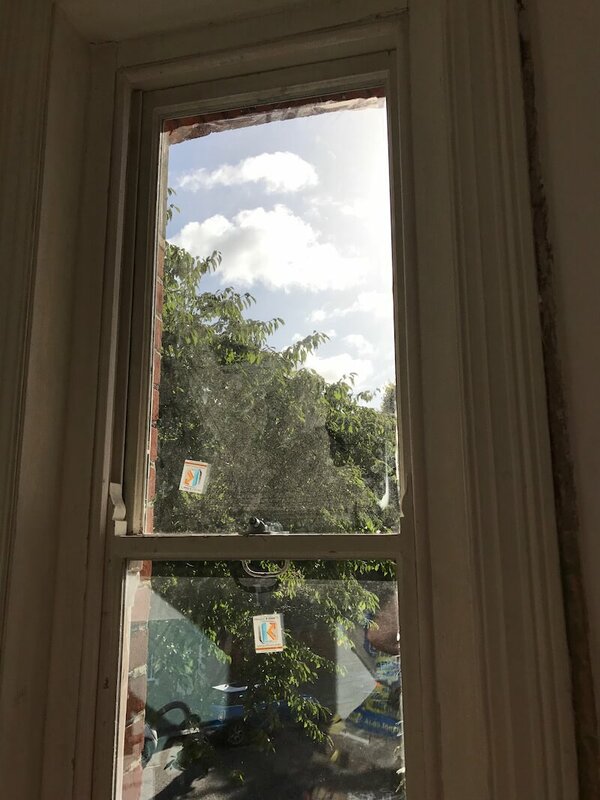 When soundproofing is an issue double glazing listed sash windows using a slim unit is the only option a planning department will accept with open arms at the moment. If we were to consider value for money on a listed building, I would cary out sash window repair and sash window draught proofing as this creates a reasonable payback in energy savings, but will not help to reduce noise pollution significantly like an Argon air cavity will. Slim line units typically carry a five year guarantee. In practice the unit will far exceed the usage period. They are very well built indeed and the sash window will only require typical maintenance for decades to come.